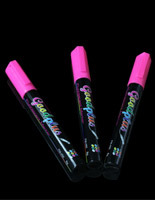 Need to add some life to a write-on board? 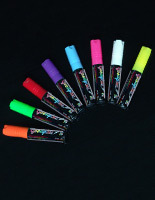 These marker pens come in a variety of bright colors that will make any messaging stand out. 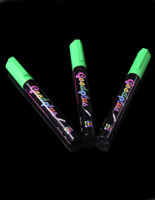 Advertisers often use colorful writing utensils like these because they highlight important sales information, like pricing and news about sales. 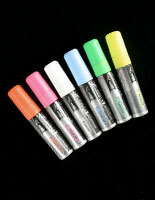 Marker pens come in packs of 3 to 8 and either have a liquid chalk, dry-erase or wet erase design. Each has its own qualities and comes with its own options. 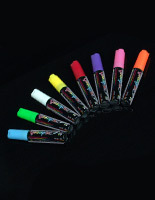 Marker pens, or whiteboard felt tips, are available in an assortment of sizes and shades for any store, classroom or office. What options are available with these writing utensils? 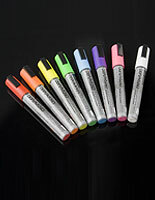 There are 5 different sizes with wet erase marker pens. Bullet tips create thinner lines that are great for slim lettering and art. These are sold as 1/16” and 3/16” models and fine strokes and details. Flat tip sets measure 5/16”, 3/8” or 5/8”. 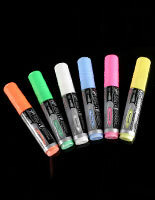 These larger color sticks are made for broad writing and are effective at filling in larger areas. Chisel tips have a slanted edge and measure 3/8”. They can be used for creating either thin or thick lines. 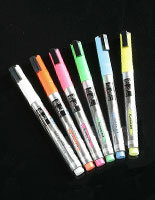 This type of pencil is available in colorful packs or single bright shades in a set of 3. They come in orange, green, white, blue, pink, yellow, red, purple. 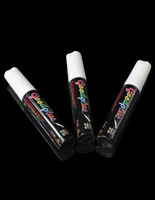 Liquid chalk pens are also available in a choice of sizes. These include the 3/16” and 1/4” chisel tips and the 5/8” and 9/16” flat tips. This type of colorful pencil is available in the previous hue choices with the additional black shade for lighter writing surfaces. They are also only sold in bright multi-colored packs of 6 and 8. 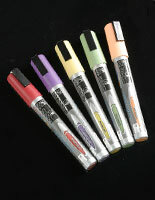 Dry-erase pens are sold in a set of 4. 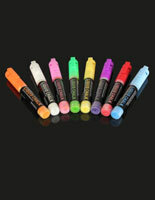 These are made for whiteboards and come in red, green, blue and black with a chisel tip. In addition, these models also come with a felt eraser. These writing utensils not only last long, they also create the deep, brilliant colors. This is important for any write-on board, and illuminated fixtures will benefit as well. The deeper the color, the more vivid it will be when lit. 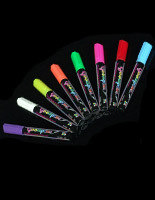 This type of bright stick also features good fluidity. That means they offer an even flow so lines are drawn solid in the first stroke. Colorful messaging brings signs to life. 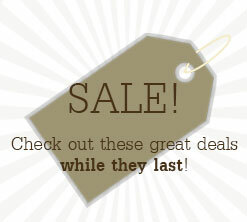 An artistic business owner or employee can create eye-catching designs with these packs. 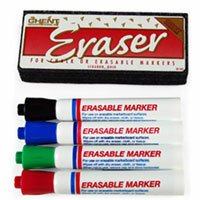 Users must remember that liquid chalk and wet erase writing must be removed with a damp cloth. 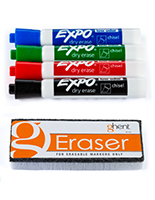 Dry-erase units, as their name suggests, do not require a moist cleaning rag and can be cleaned with a felt eraser. All models should only be used on non-porous surfaces to prevent markings from becoming permanent. 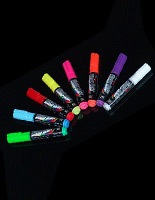 Order markers before 2PM Eastern Standard Time for same day shipping on CorkBoards2go.com!